SAVE AT THE PUMP!!! 25 MPG Hwy. Just Arrived*** Honda CERTIFIED!!! All Wheel Drive, never get stuck again! This Sport has less than 11k miles... There is no better time than now to buy this brawny Sport, ready to do-it-all for you* Dare to compare!! Safety equipment includes: ABS, Traction control, Curtain airbags, Passenger Airbag, Front fog/driving lights...Other features include: 2-27-18, Bluetooth, Power locks, Power windows, Auto...Honda Certified Pre-Owned means that you not only get the reassurance of a 12mo/12,000 mile limited warranty, but also up to a 7yr/100k mile powertrain warranty, a 182-point inspection/reconditioning, and a complete vehicle history report. Hello, I would like more information about the 2018 Honda Ridgeline, stock# H66642. Hello, I would like to see more pictures of the 2018 Honda Ridgeline, stock# H66642. 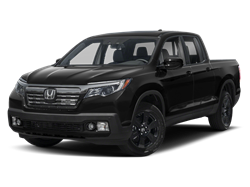 Ready to drive this 2018 Honda Ridgeline? Let us know below when you are coming in, and we'll get it ready for you.